PHOTO: When you can say you've gotten to see this in person, you can truly say your life is richer because of it. When you look back at your life, what stands out the most … your 9-5 job, the never-ending To Do list, or the time you spent with your family and the amazing adventures you took? If your answer was family and adventures, you’ve landed on the right page. 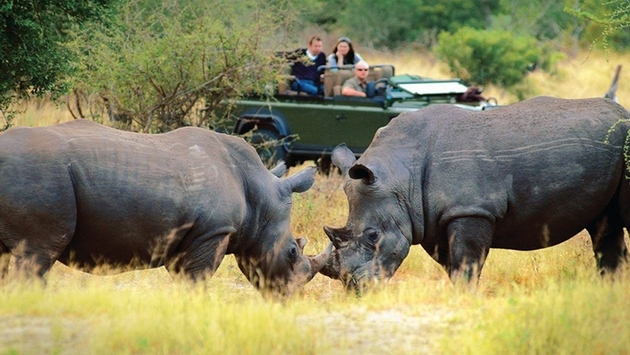 If you’re wondering how Great Safaris can help increase your life portfolio, let me explain. With more than four decades of African safari and travel experience, my knowledgeable team and I have been able to create personalized journeys for adventure travelers across the globe. A safari in Africa shouldn’t be a generic, run-of-the-mill trip; you deserve an itinerary that will fit when, where and how you want to experience one of the most extraordinary places on Earth. Whether it’s your first trip to Africa or a return journey, this land will entice you with the greatest treasures for all of your senses. Hear the rumble of the Great Migration across the savanna, see the sleek leopard hunt its prey, taste the sweet nectar of South African wine, smell the fresh rain as you trek through the mountain forests. Great Safaris maintains an experienced team of guides and travel experts who will guide you on a spiritual journey filled with physical and emotional wealth, leaving you with a cache of wonderful memories. Whether you choose a published luxury tour or custom program, all of our excursions are competitively priced and our experts will work with your travel agent to determine the best balance of activities based on your needs, concerns and expectations. This website offers many suggestions and options for making an important step toward your African safari. I invite you to explore our pages, request our brochure and contact your travel agent to start planning your own journey of a lifetime.